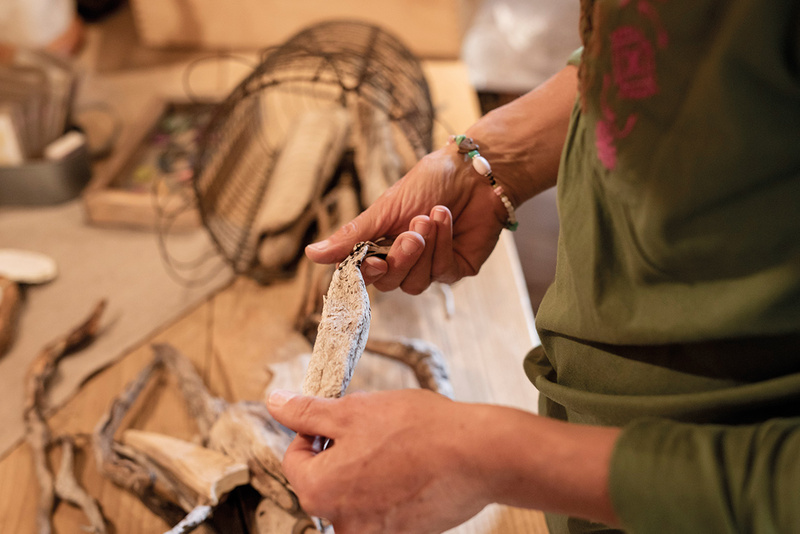 A burl wood high up on the Kramergrad, kissed by the sun and formed by wind and weather, finds its way into an idyllically situated garden house that is Susi Dahlmeier's jewellery workshop and refuge, which is completely out of the ordinary. Where there are no "do-not-touch" display cases, a wide range of "touch me" collections surprise and orderly disarray prevails. In the midst of it all, a goldsmith, who keeps a pleasantly low profile and overflows with ideas. my new workshop opened in Krün. All of this flows into her jewellery, transforming natural materials into wearable, unique pieces. Thus, the burl wood finds a suitable stone, is joined to silver and fixed with leather ties. What is special about it is not just the combination, but also the knowledge behind each creation. Because the qualified stone therapist knows the meanings of stones. "Each stone is good for something and reveals something to you". However, if you are thinking of crystal balls and the quest for esoteric transformation, you are barking up the wrong tree. Because Susi has both feet firmly on the ground. 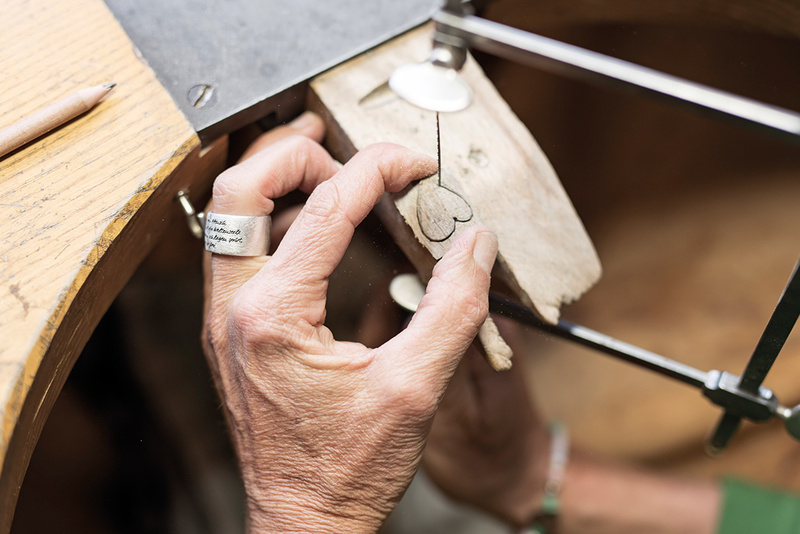 Connected to nature from childhood, having immersed herself in professional sport and then found her comfort zone as a self-employed craftswoman: "Being open to everyone who walks through the door and creating the right piece together - that is the best bit. That is the work I enjoy most. Every person is different, therefore every piece is a little bit different too." To welcome everyone who comes through the door. Away from the hustle and bustle of shopping, a chance to seek individual advice and allow things to run their course. With the requisite quiet and the invitation to browse at leisure through baptismal pendants, wedding gifts, earrings and individual chains. One thing is sure: At Susi's, you can leave without finding anything and still take something with you when you go. Because you will always leave feeling good and wanting to come back. That is worthwhile, because "here, you don't see everything the first time". Well then.